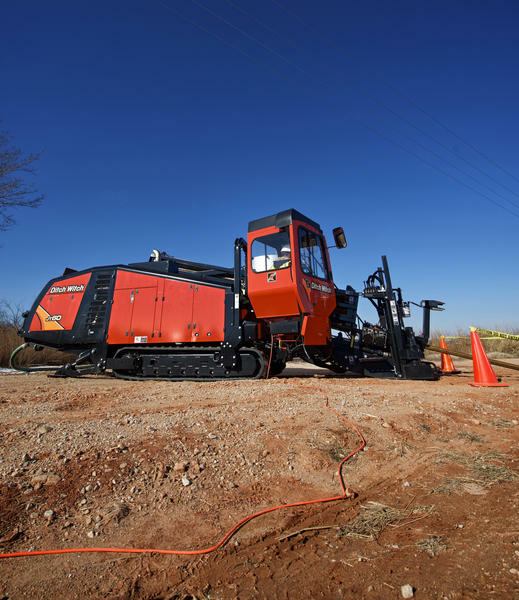 With the new JT60 horizontal directional drill, you’ll recognize many of the features you’ve grown to appreciate: the proven, intuitive electronics and the rugged and reliable undercarriage, to name two. And in no time you’ll appreciate the JT60’s more powerful rotational torque—an increase of 4,000 ft•lb over its predecessor the JT4020—and 60,000 lb of thrust and pullback. 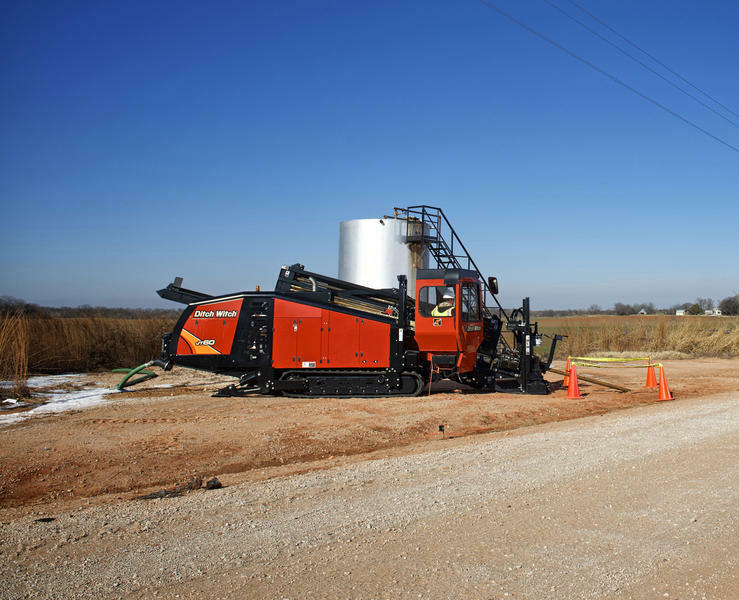 It’s the more powerful combination you needed—the combination you asked for—to work more efficiently with less downtime. 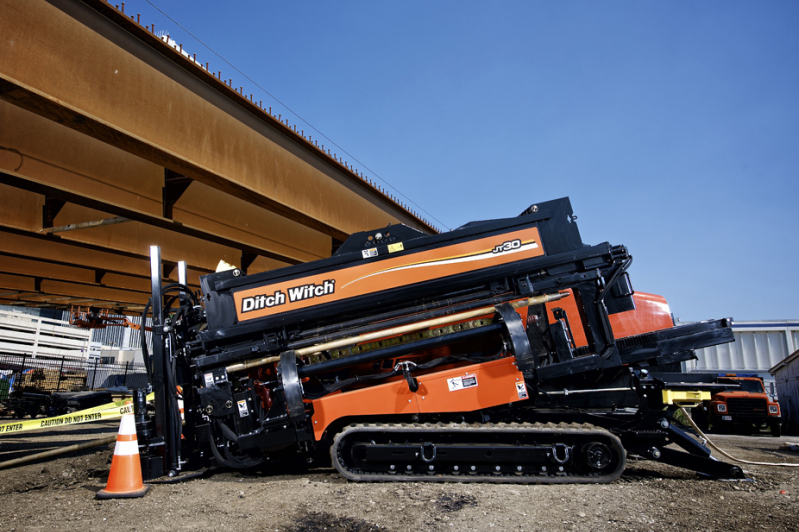 Designed for greater uptime with a simple, durable, customer-driven design. 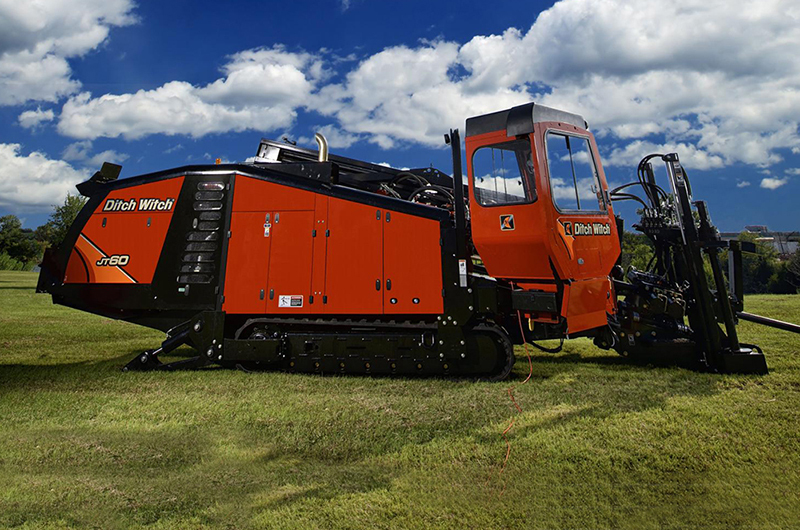 60,000 lb thrust and pullback and 9,000 ft•lb rotational torque—the powerful combination you need for outstanding productivity on big installation jobs. Choice of a 190-gross-hp Tier 3 or 200-gross-hp Tier 4i Cummins® diesel engine. Onboard, enclosed 150-gpm fluid pump for productive drilling at greater distances; flow rate can be operated simultaneously with thrust/pullback and rotation. 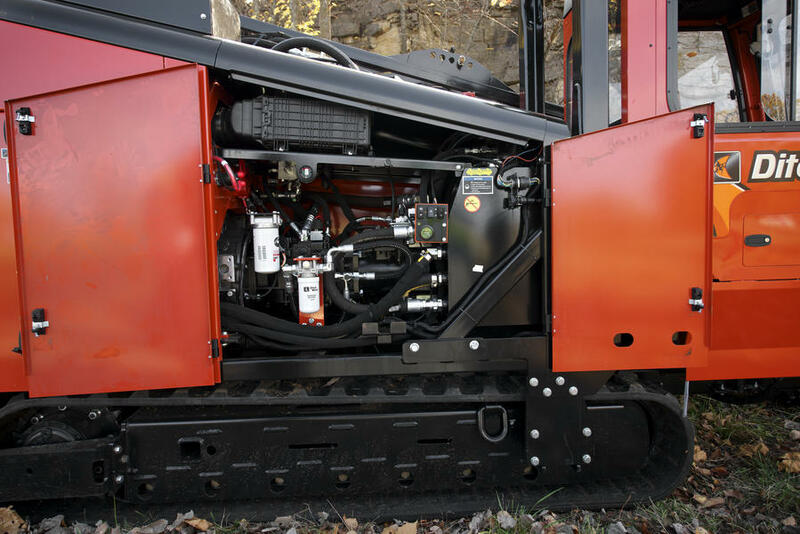 Double rack-and-pinion thrust drive is field-proven and designed to push/pull through the long, tough bores. 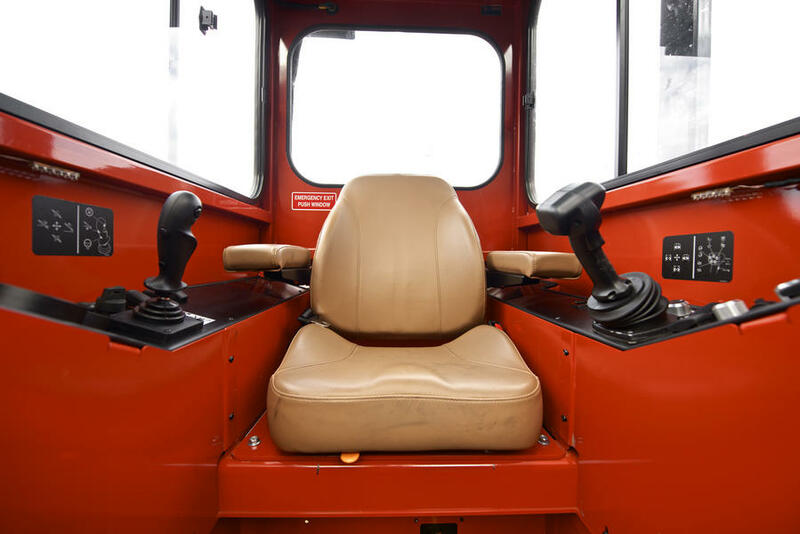 Fully enclosed, climate-controlled cab features instrument panel gauges positioned for visibility, conveniently placed controls and an excellent view of the tool joint. GPS is a standard feature of the JT60, allowing for online location and utilization tracking of assets, along with machine service, hour and location alerts. 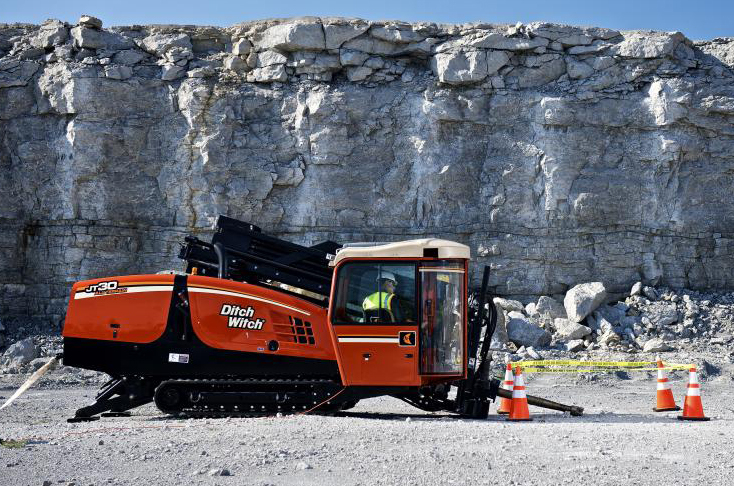 Simple, intuitive carve mode reduces operator fatigue; compatible with superior TriHawk® HD housings and bits for exceptional productivity. Proven, industry-leading pipeloading system is simple, easy to use and designed to increase speed with automation, saving you time, money and effort. 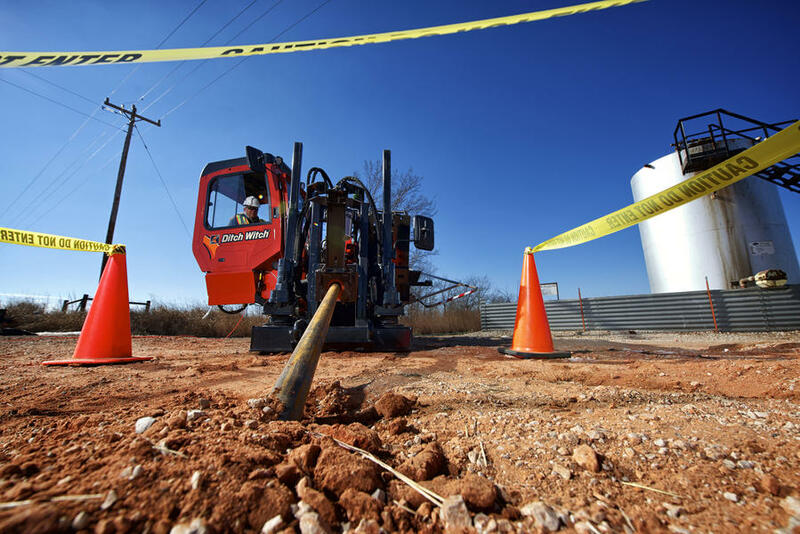 Heavy-duty, planetary-driven anchor system enables you to use full machine thrust in tough jobsite conditions, improving productivity. 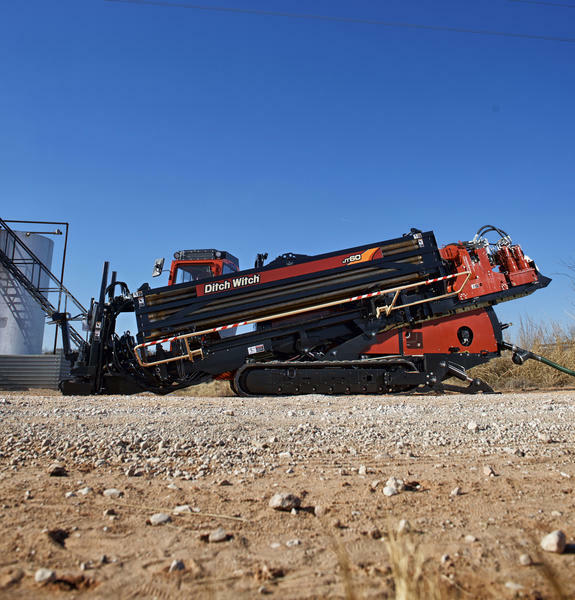 Two-speed thrust drive motors provide exceptional low-speed drilling control as well as higher speeds necessary for rapidly loading drill pipe. 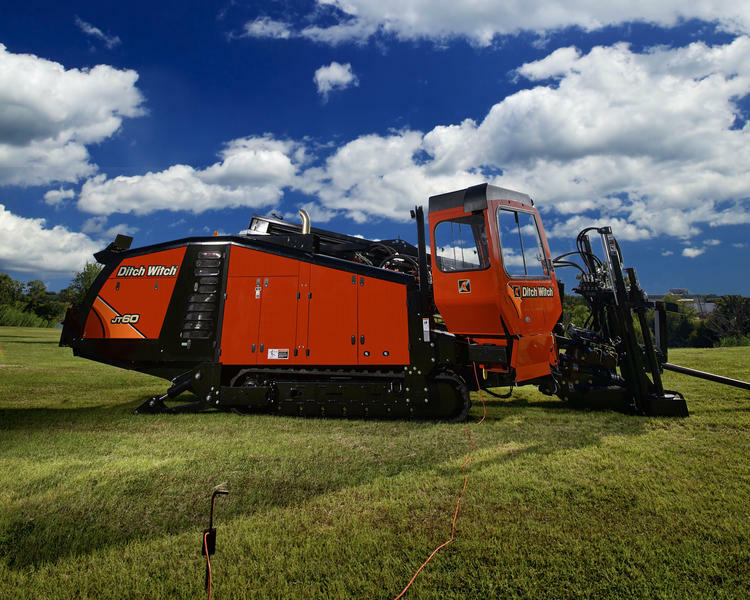 Dual-pivot drill frame allows steep entry angles without raising the tracks off the ground—no need to constantly readjust the machine even when the terrain is muddy or steep; enhances operator comfort because operator’s station stays level. 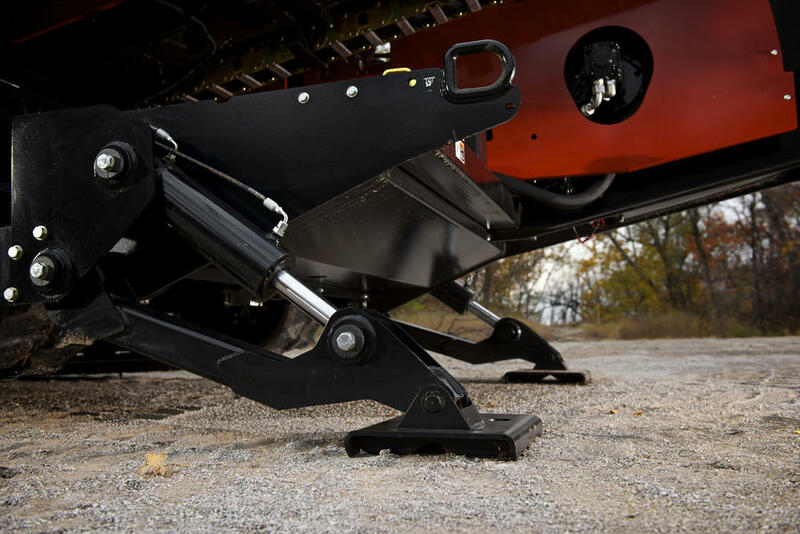 Dual rear independent stabilizers give you confidence to set up on uneven terrain. Easy to service, with all daily maintenance points in one location that is easily accessed through removable doors. Open-top vise wrenches are angled toward the operator for an excellent view of the tool joint when making up and breaking out pipe. 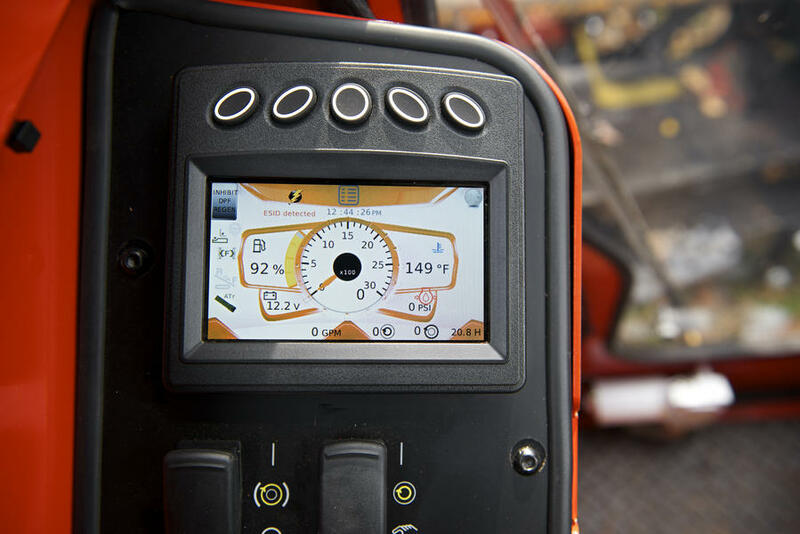 Operator’s station features intuitive joystick that controls all drilling functions, ergonomic seat, color LCD engine display, and an excellent view of all drill functions. 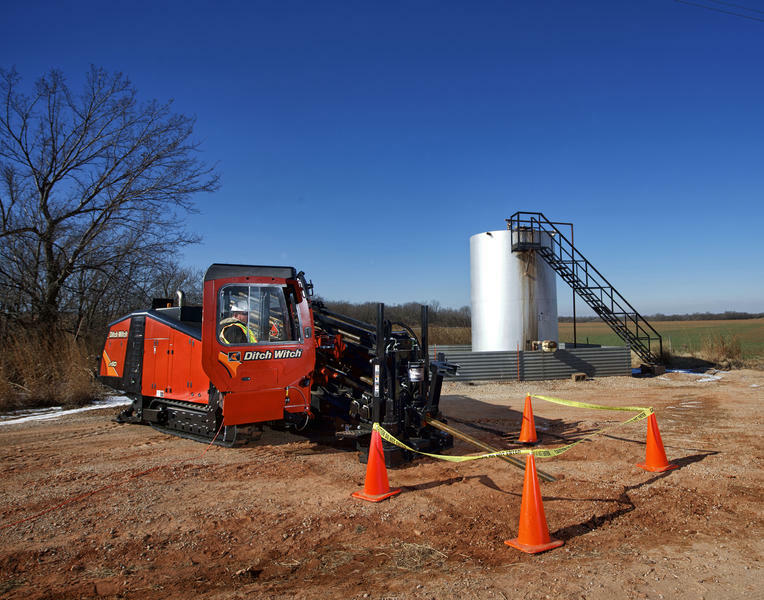 SaverLok™ System provides the tightest connection and best protection against wear and tear on the drill pipe and drive system; easy to install and replace, requiring no special tools. 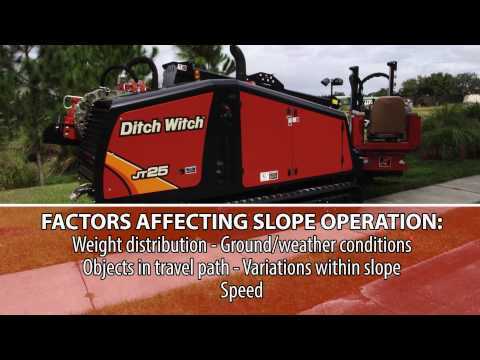 Compatible with the TK Series HDD Guidance System, which enables you to cut through noise and complete bores with an unprecedented level of confidence.